It's been a mixed bag for Tegan and Sara followers this October. Yes, the duo just announced that they were prepping a new live DVD, but with that comes news that they will also be taking a sabbatical following the year and a half of touring behind their latest LP Sainthood. So, no new tunes for a bit, at least. Luckily for us, the bi-coastal band are bestowing upon us one more parting gift, a quick acoustic set recorded at the Daytrotter studios in Illinois. Digging as far back as "I Know I Know I Know," off 2004's So Jealous, the pair present some ultra-stripped-down versions of their generally peppy brand of pop rock. Even so, the unplugged interpretation of "Hell" still steamrolls along with its thick, punky power chords. 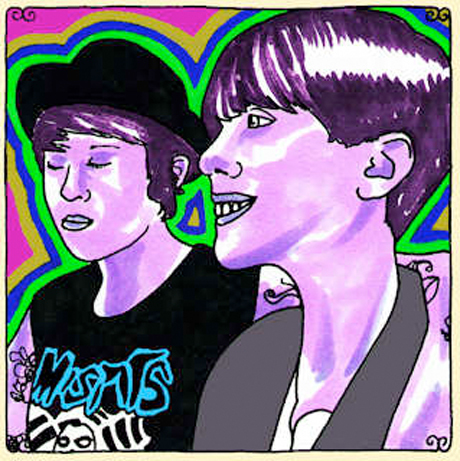 Check out the four-song session up on Daytrotter over here.